What was your earliest memory? This question has always puzzled me. I am sure it was a light bulb. However, I would not be surprised if that recognition derives from Gunther Grass’ novel The Tin Drum. Did you go through training/university or straight into work? As a high-school student my dream was to study at medical school and become a chief physician at a large hospital. Instead, my path led me to a master’s degree in mechanical engineering. After I completed my studies, my father gave me a wake-up call to enter his company. Who were your mentors? Fact is that I neither had any lasting mentorships nor any worthwhile to mention throughout my career. My ambition was always to seek and learn the tools which would enable me to form my business to perfection and be independent. What would you have done if you hadn’t gone into shipping? A question I never had the chance to think about. I was managing and owning a Caterpillar dealership, selling and servicing ship propulsion systems, and then diversified into building ships in 2002, putting them into third-party management. When the Lehman Brothers crash triggered the crisis, I wished I had not diluted all my assets into ships and had the cash I used to have in my account to retire early. However, it was too late. Business as a tanker owner/operator has no end to its learning curve, and now, with hindsight, I can say it was fortunate for my career and hopefully that of my children to have gone into shipping. What is your biggest extravagance? Having looked up the meaning of this word. How do you relax? The main source is sleeping. I also relax when I come home from work and sit at the dinner table discussing daily events with my wife. Then there are my passions. The managers of Lehman Brothers indirectly brought back something to my life I had forgotten: free time! I have a workshop in our garden where I restore vintage vehicles, primarily motorbikes. When I have the time, this is the best means for me to divert my thoughts away from day-by-day business. What would you like to own that you do not possess? A large sailing yacht that I could call my second home and discover many places in the world. When are you happiest? When our children, who are studying in Madrid and Philadelphia, join us sailing in the Greek waters or skiing in Austria. We chat for hours about their and our lives and experiences. Is politics important to you? No — or it is better to say, with growing age and increasing frustration — less. As someone who has lived most of his life in a third-world/emerging country, I have seen corruption dominate public life, several coups, human rights violated, a non-intact justice system, a press that has lost independence and the fear that you could be robbed of your assets. Am I starting to get homesick for the achievements Europe has worked for so hard? What would you change in shipping? I would like charterers, the major oil and chemical companies and traders not only to demand the highest quality but also to transparently reward higher-quality operators. Isn’t it gross that as ship operators we see nightmares where we wish for spills and disasters to give our clients a wake-up call on quality? Which four people, living or dead, would you like to invite to dinner? John F Kennedy, Helmut Schmidt, Ludwig Erhard and Mikhail Gorbachev. What would your 20-year-old self say to you today if you met? He would be critical that some of my achievements could have taken place earlier. What keeps you awake at night? If I haven’t solved a technical problem during a restoration of one of my vintage motorbikes. What are your favourite song, book and film? Fleetwood Mac’s Go Insane; Stiller by Max Frisch; Out of Africa. What is the most important lesson you have learned? Resilient behaviour: to try to manage stressful situations with a positive outcome. What are your best and worst characteristics? Ambition. It is my best and worst characteristic. What is your greatest achievement so far? To have the loveliest family I could think of. Your greatest disappointment? The frictions I had with my father in the first years I was together with my late wife Claudia. What ambitions do you still have? To become a top-level Champions League player in our business as a technical operator of chemical tankers. Lorenz Weinstabl is chief executive of Istanbul-based Atlantis Tankers Group, which operates a dozen 3,446-dwt to 6,416-dwt chemical and clean petroleum tankers. Weinstabl’s father came to Turkey during the Second World War, working for Deutsche Orient Bank, before forming a company to represent and distribute German machinery. His son took over the business in the 1990s, eventually selling Caterpillar (MaK) engines for ships. The current group was formed in 2002 when Weinstabl teamed up with Turkish shipyard executive Mehmet Aksoy and Dane Kenneth Jan Madsen to build ships under the Armona Denizcilik banner. In 2009, Armona took over the technical and crewing management of the Atlantis fleet, and in 2013 the commercial management. Weinstabl went to school in Istanbul and completed his master’s in mechanical engineering in Germany. 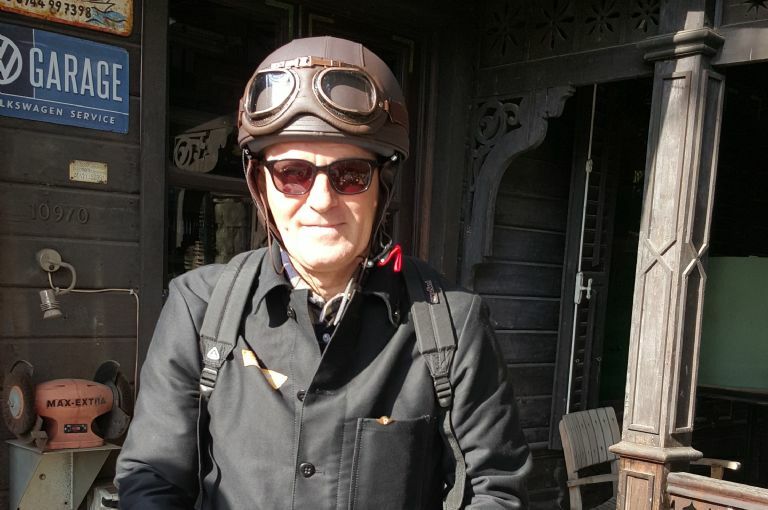 He can often be seen driving to his office on a 1936-built Norton motorcycle used by the Turkish Army after the war. Deputy CEO Marlon Weinstabl visited the Restis-acquired chemical tanker (re-named) Atlantis Araceli. The visit was conducted in the Port of Midia, close to Constanza. The visit is part of the Leadership Visit initiated by Shell and has now become a centerpiece of Armona's senior management duties. Mr. Weinstabl took around 7 hours to talk to every single person on board. It was an extremely fruitful visit with a lot of valuable comments, requests, and suggestions. Pictured is the entire crew & officers with our Deputy CEO. The 5600 dwt vessel will now make her way to Tuzla where she will go through repairs and an increase in her deadweight-tonnage. The company hosted its first “Maintenance of Ex-Equipment in Hazardous Areas” training on the office premises on 11.05.2017 with the attendance of 6 Chief Engineers, 3 Second Engineers, 1 Third Engineer, the Technical Department, and personnel from the HSEQ, Purchasing, and Training Departments. 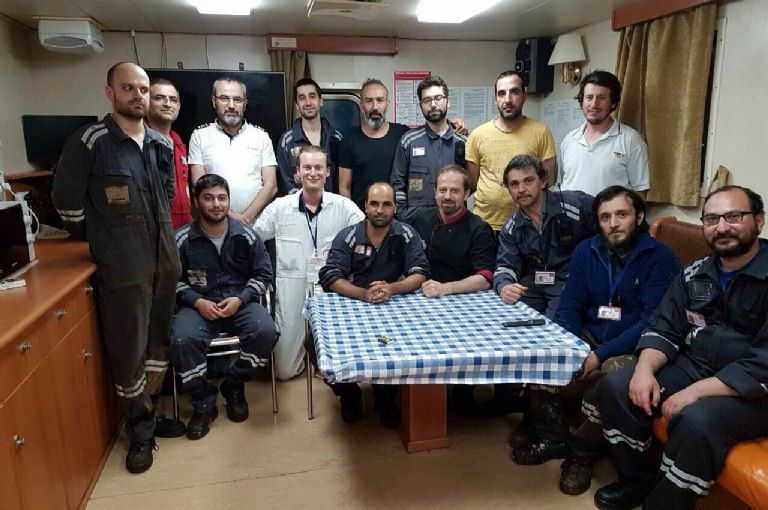 The training was provided by ATEX, a company specializing in health and safety working conditions in hazardous areas containing explosive gases, and it proved to be extremely educational. We thank all who participated and especially the instructor Eng. Nurettin Terzioğlu for this valuable training that will become a norm for Armona engineers and electricians! 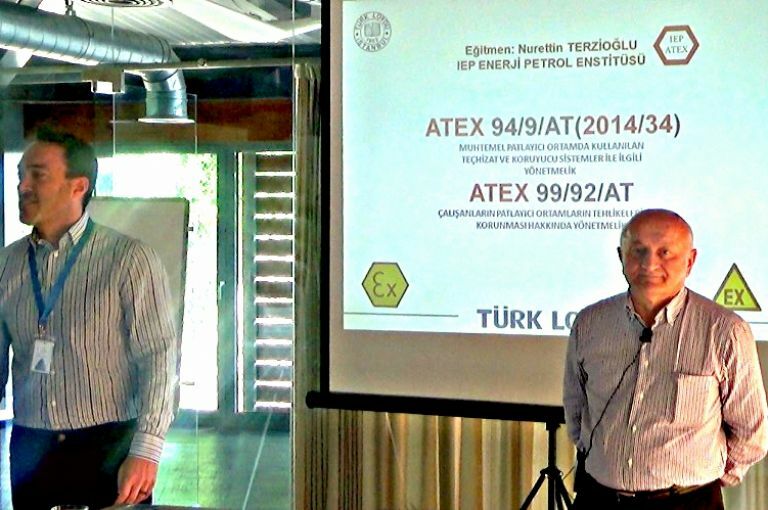 Brand New Ex-Equipment Training was provided by ATEX for our Engineers. "Turkey's Atlantis Tankers has finally got its hands on a tanker originally ordered in 2006. The 5,650-dwt Atlantis Augusta, its twelfth vessel, was delivered last month following a dispute with yard owner Yildirim Group and various continuing lawsuits that saw it completed at a different shipyard altogether. Atlantis, controlled by Lorenz Weinstabl, told TradeWinds its newbuilding and management arm Armona inked a contract with Turkey's Marmara Shipyard in 2006 for the construction of three 5,650-dwt tankers. As construction was about to start, the financially struggling yard struck a deal in April 2007 with Yildirim group company Yilmar to sell 100% of the yard, Atlantis said. The shipyard then offered to construct the first Atlantis ship for triple the amount of the original contract, Atlantis claimed. A deal was not agreed, however, and towards the end of 2007 Armona filed a lawsuit against Marmara requesting compensation. "The lawsuit is still ongoing and it is now in its tenth year with an award in first instance expected before this summer break," Atlantis said. In January 2015, Armona decided to continue construction of the first two newbuildings and reopened negotiations with Marmara. 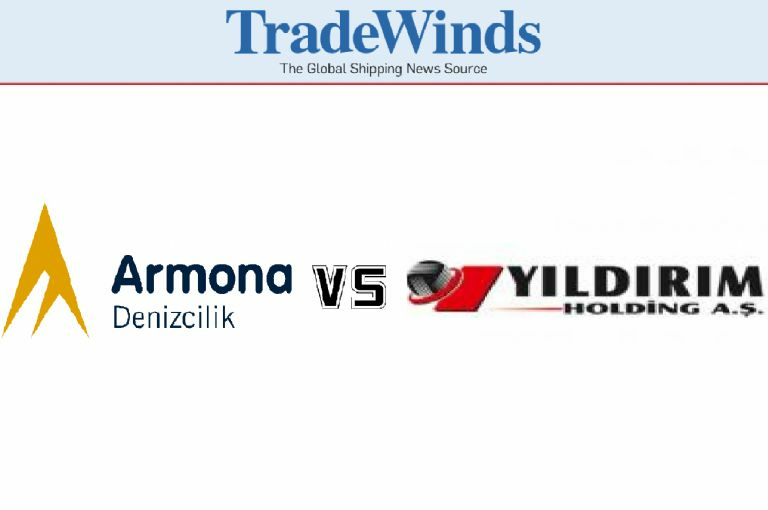 Yildirim countered with three lawsuits against Armona for compensation, the cost of storing the blocks, and the last progress payment, Atlantis said. Armona obtained a preliminary injunction at a district court in October 2015, allowing it to collect a total of 6,000 tons of steel from Marmara. Blocks for the first tanker were loaded onto two barges and towed to Tuzla, while the rest was transported on 64 low-bed trucks. Armona then had the vessels built at Selay Shipyard and Selah Shipyard. The second, Atlantis Alicante, is due in June. 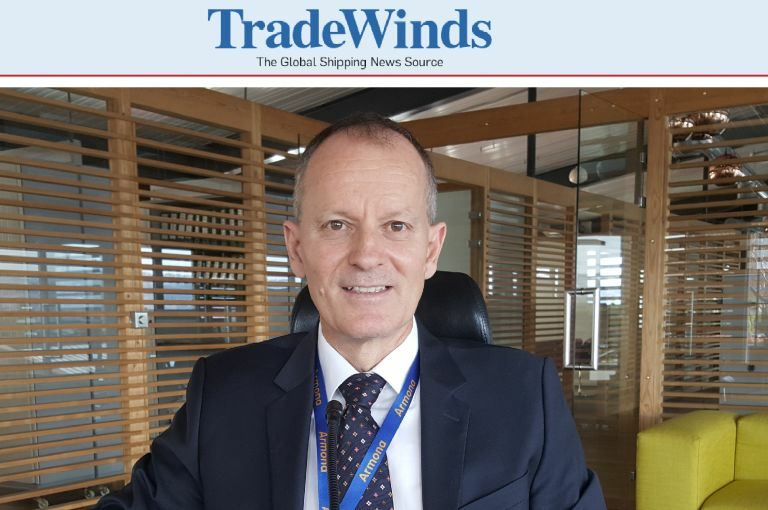 Yildirim chief executive Robert Yildirim told TradeWinds that when the orders were placed, Marmara was struggling financially and accepted the contracts at very low prices, along with vessels for Yilmar itself and compatriot owner Duzgit. Markets then went "crazy" and yards were busy, with a consequent rise in labour costs. Yildirim explained that it was the labour contract price that had to rise. Yilmar and Duzgit accepted the labour rise in new contracts as part of the change of control of the yard but Atlantis insisted the yard stick to the original deal. He said: "I said to Lorenz, we can't build your ships at the current contract price. The contracts were underwater. "Am I stupid? This is a big loss. Yildirim Group will never work for a loss. We want to make money." He said Atlantis then refused to move its equipment from his yard. "We later offered to match the cost at the Tuzla yards, but he wanted to go to court. He could have been operating these ships for years." TradeWinds published the sixth press release of the Company. Atlantis Almeria had loaded 6000 mts of Vegoil (full-cargo) from Dnepropetrovsk, Ukraine. On her way to the destination port of Mersin, Turkey, she passed by the company building through the Bosphorus Straight at staggering speed of 12.7 knots. Atlantis Almeria passed through the Bosphorus Straight on the 11th of May 2017. 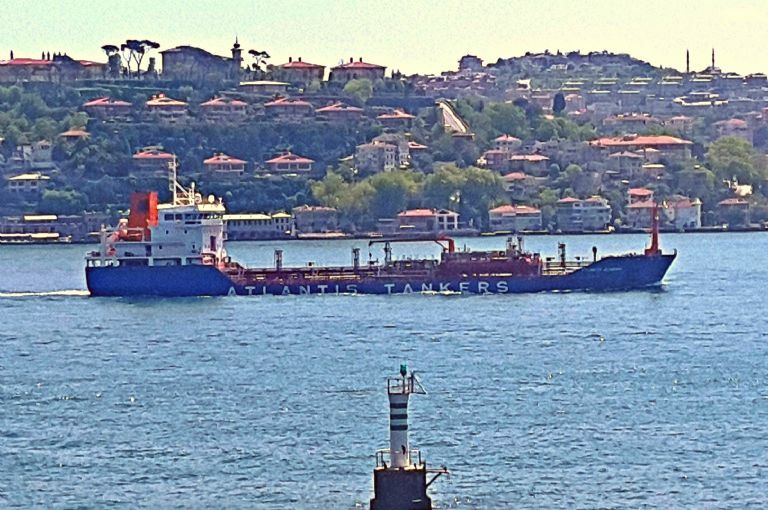 After her maiden voyage at Yuzhny, Ukraine, Atlantis Augusta passed through the Bosphorus on the 19th of April for her second voyage to Villagarcia, Spain. The whole staff of Armona Denizcilik and Atlantis Tankers got the opportunity to see the new building on sea, due to the headquarters being located right on the Bosphorus! "Expanding Turkey-based Atlantis Tankers has reported a drop in earnings for 2016 as chemical tanker rates have softened. The owner's four 3,500-dwt and four 6,000-dwt ships made $4.3m on a net basis last year, down from $6.9m in 2015. Revenue fell 8.5% to $30.1m, with no significant change in operating expenses logged. Chief executive and owner Lorenz Weinstabl said: "The results were not in line with the expectations we had for 2016 and it was hard to explain what had caused the markets to soften again after 2015, which was a year that had achieved a level we would need in consistency. "There is still an oversupply of tonnage due to the orderbook that was inked in the years 2006 to 2008 and constructions which were later delayed. In February, Atlantis bought two tankers from the Restis Group: the 5,500-dwt Ionian Trader and Lydian Trader (both built 2008). Weinstabl said the price was "mid-$5m", as opposed to reports putting them at $7m. It also took over management of the German and Turkish-owned, 6,300-dwt tanker Rekon (built 2013) this year and has two 5,600-dwt newbuildings due this month and in June from Turkish yards. Weinstabl said it was "amazing" to see the way many owners view their finances. Expressions such as "sustainable" are already being used to outline the minimum target of surviving in the business, he adds. The shipowner believes companies must be looking to maintain at least the size of their fleets, or even lower their average ages. "A fleet size of 20 ships would theoretically mean that every year the fleet's aggregated age will equal the lifetime of one ship, therefore a new ship would need to be added to maintain the average age," he said. "With the current market being weak, that might just be possible when you have such a fleet size. However, it will mean that you practically need to tie all your liquidity into the modernisation of your fleet." Looking ahead, the company believes that despite the chemical tanker market having started off weakly in 2017, signs of a stronger-than-expected recovery in European and US economies still give reason to hope that this year will be better than 2016." TradeWinds published the fifth press release of the Company.